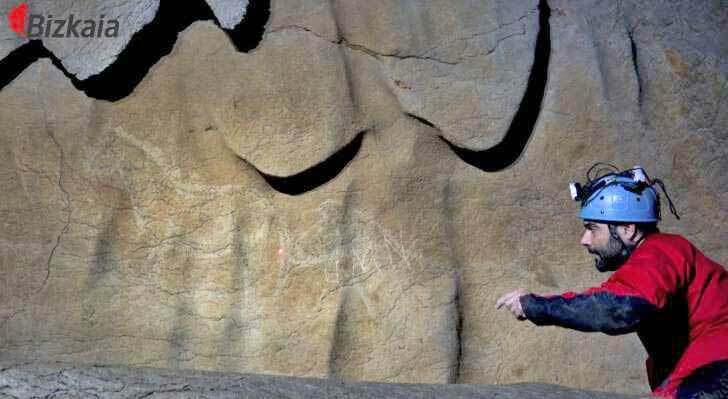 Recently discovered cave-art depictions of horses, bison, goats and lions in the Basque region of Spain date back up to 14,500 years, according to experts. About 50 individual Paleolithic drawings have been identified in the trove, found in a chamber within a cave system located under the centre of the village of Lekeitio. The drawings are especially large, with one horse measuring up to 150 centimeters across. The works are spread across about 15 meters of the cave wall, with archaeologists declaring them to be the most striking such examples found to date on the Iberian peninsula. The Paleolithic-era paintings have faded over time so they are difficult for the average person to discern. The discovery was made in the Armintxe cave complex last May, but have now been thoroughly investigated by experts. Their inaccessibility and the need to preserve the works mean they are unlikely to go on public display.